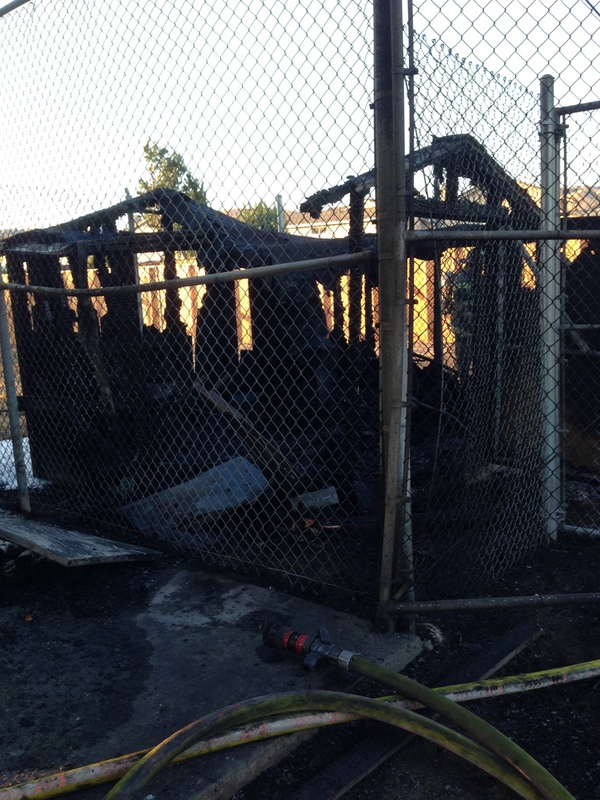 On July 8th, the San Jose Fire Department responded to an arson fire at Ocala Middle School. 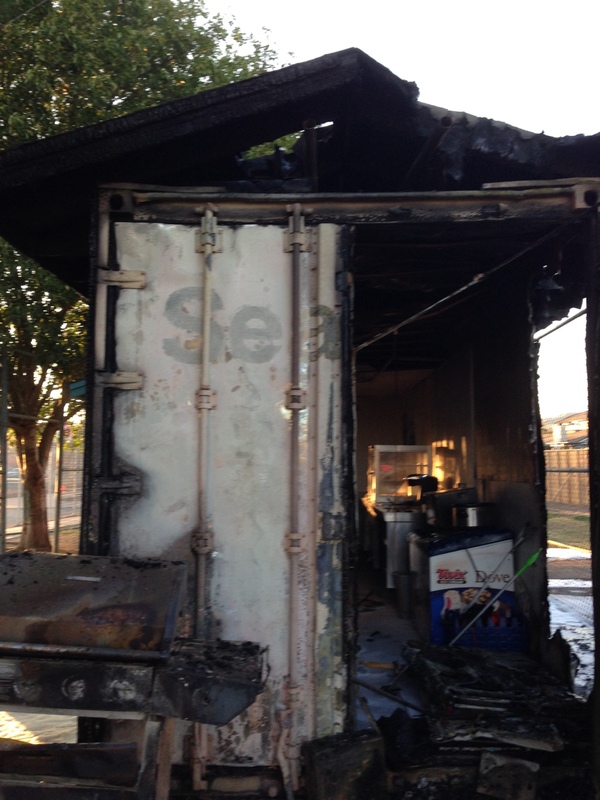 Heavy fire and smoke caused partial damage to the snack shack, and completely burned the league equipment shed to the ground. 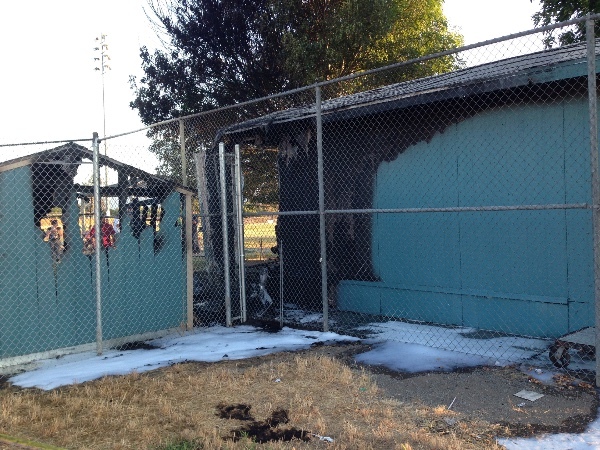 Gloves, helmets, catcher's gear, and a portable home run fence were all melted into the rubble, in addition to many other items required to run a successful children's softball league. Without this equipment, the local softball league will be unable to recover. 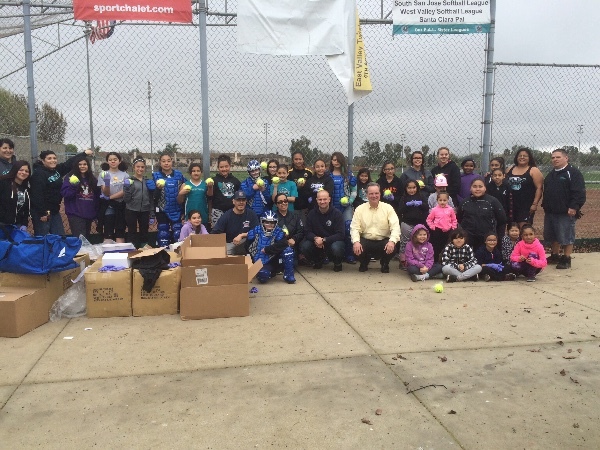 On behalf of the East Valley Fastpitch Softball League, we humbly ask for your support via donations to assist with the recovery and rebuilding effort for this project. Any amount is welcomed and appreciated. Thank you for your support! We just placed the orders for brand new deep fryers, microwaves, and a refrigerator to round out the snack shack. Tomorrow, we will place the order for a perimeter fence. Things are coming along well for the project. Thank you! The equipment is now in the hands of the softball players. Great job everybody! There was a great turn out in 2/13 and the girls were very excited to receive the surprise. Some of them already tried on the catchers gear. Opening day is Saturday the 5th, and the Twisters are ready. Twisters with SJFD and Supervisor Cortese. We will be there this Saturday (2/13) at 9am. Ocala Middle School softball fields. Hope to see you there. Good evening. 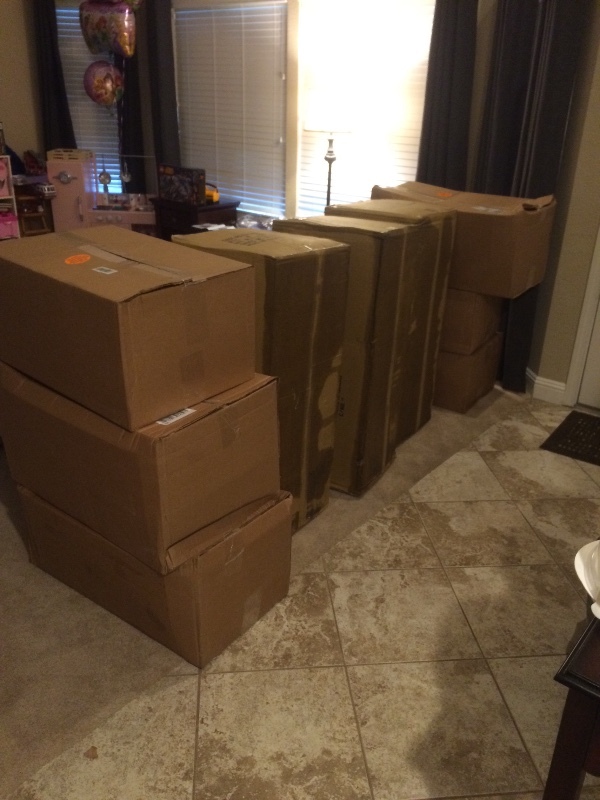 We have received the softball equipment order and are ready to deliver! These items were purchased entirely by YOU! YOUR generous donations are making this possible. Therefore, we would like to invite each of you out to the ball field on Saturday morning to be a part of the experience. We will be there at 9 am with several boxes of goodies for the girls of the East Valley Softball League. There are still a few more tasks to be completed before the project is done, but this is a huge milestone. Please come spend your morning with us as we celebrate with the league. Great job! The boxes are ready for delivery! As a former player, coach and current East Side resident for 30+ years, let me express my sadness at the loss of your equipment and Snack Shack. However, there are lots of nice people out there. I would to make a donation by check. Please contact me at kludtgayle70@gmail.com with an address where I can send my donation. Good luck in your funding raising! You guys are the bomb!! Thank you so much for helping our league to continue successfully! This Saturday (02/13) at 9AM? Thanks for the invite. 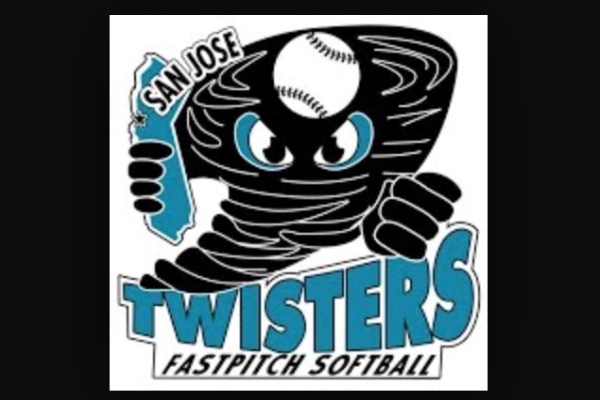 On behalf of the players and families of the Sunnyvale Girls Softball League, we wish the East Valley Girls Softball League all the best in rebuilding their facilities and look forward to returning to Ocala Middle School for the Twister Classic for years to come. I coached and my daughter played GSA in Thousand Oaks, CA for 9 years. Now my daughter is coaching my granddaughters back in Virginia. Softball is so important for helping girls learn teamwork, discipline, leadership skills and most importantly having fun. I hope you get your snack shack back and up and running in no time. Good luck! Softball ROCKS!!!!! I played on a softball team my whole life growing up. It taught me so much about being part of a team. I would hate to see that taken away. I wish you all the best of luck. I know you'll come back even stronger.